West Whiteland Township municipal offices are located at 222 N Pottstown Pike, Exton PA 19341; phone: 610-363-9525. West Whiteland is an historians treasure-trove. In 1986 the West Whiteland Township Multiple Resource Area was listed on the National Register of Historic Places. It describes 53 individual properties and two historic districts. (Church School Farm Historic District, and the Grove Historic District. Text below is adapted from a copy of the original National Register nomination document. 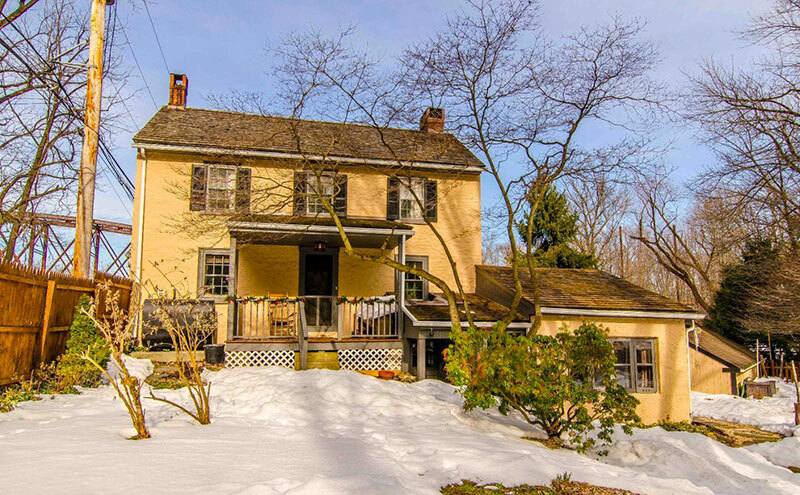 The historic resources of West Whiteland Township contain a wide variety of historic sites. All have a high degree of integrity and have been evaluated according to National Register standards. ... the properties are significant as representative of the Country's growth and development since 1682. West Whiteland's resources are distinguished by their high visibility within a major east-west transportation corridor, the Great Valley, and by their unusually rich architectural quality. Prior to European settlement, the Lenni-Lenape Indians of the Delaware were established at various location in Chester County. Their trails crisscrossed the County, connecting such villages as Queonemysing and Minquhanan with major trading centers. According to an account by Richard Thomas I, West Whiteland's first settler, there was an Indian village along the Valley Creek in the vicinity of present-day Exton. Its name, Katamoonchink, meant "hazelnut grove." Folklore tells that it was the barking dogs of the Indian village which induced Richard Thomas to settle nearby for protection from wild animals. Evidence of the Indian presence in other areas of the Township has been found in the form of arrowheads, points, grinding stones, etc. A map compiled by the West Whiteland Historical Commission, based on oral accounts, shows the general locations of such discoveries. The location and topography of the Township contributed to its prosperous and diversified rural agricultural economy which persisted into the mid-20th century. The Great Valley which cuts through the center of the Township, extends north and west for approximately 25 miles and contains most of the County's major towns, among them Atglen, Parksburg, Coatesville, and Downingtown. The Valley is particularly wide and level in West Whiteland, and, with its limestone-enriched soil, is well-suited for agriculture. While the Valley floor was ideal for house and farm, the hills to the north and south provided the timber essential for building and (until the acceptance of fossil fuels) energy for home and industry. It was common for a prosperous farmer to have 100 acres or more of farmland in the Valley and a woodlot of 10 or 20 acres on the slopes.